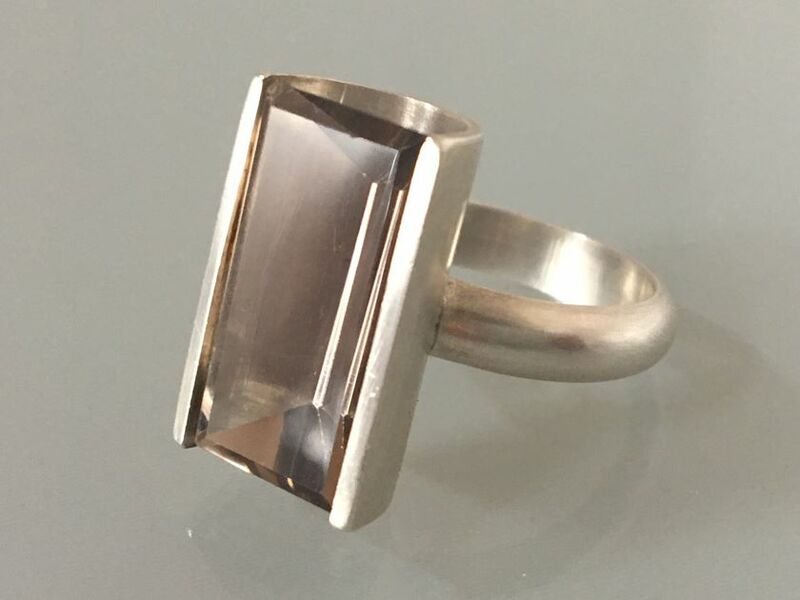 Solid sterling silver ring with a satin finish set with a mirror cut smokey quartz. 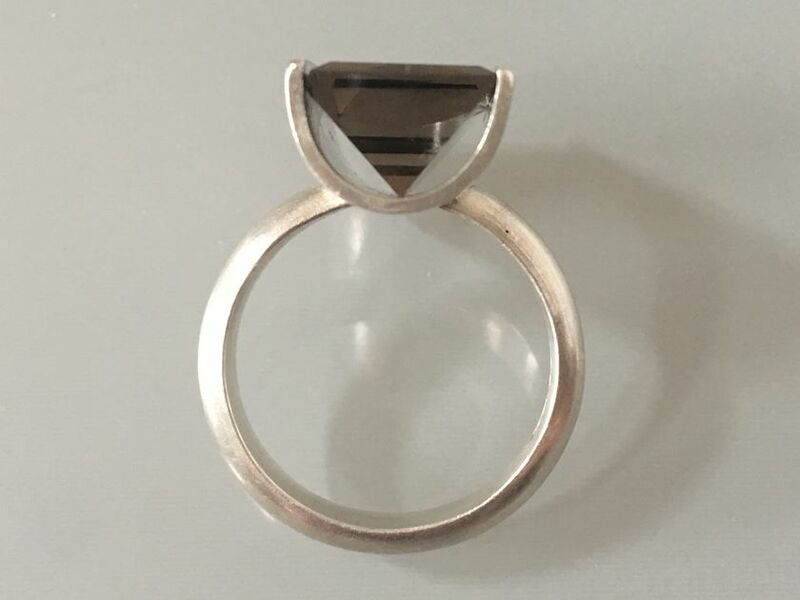 The band is approximately 4mm wide and the dimensions of the stone are approximately 18mm X 9mm. The ring is hallmarked and the size is P.